What began as a way for college students to connect has grown into one of the world’s largest social networks. In turn, it has become one of the best marketing resources too. Facebook is an American online social media and social networking service company based in Menlo Park, California. It was launched in February 2004, by Mark Zuckerberg, along with fellow Harvard College students and roommates Eduardo Saverin, Andrew McCollum, Dustin Moskovitz, and Chris Hughes. As of June 30, 2017, there are 2 billion monthly active users on Facebook and over 1 billion daily active users. That is a large network for a small business to tap into! 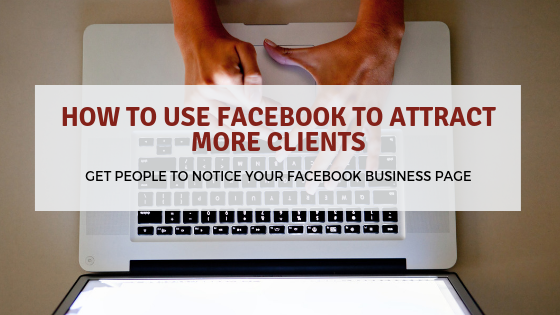 Using a Facebook page has many potential benefits for your business. While some of these benefits are similar to having a website, a number are unique to Facebook. Don’t Be Afraid to Show Your Personality on Facebook – A few fun ways to lighten up the mood on Facebook and to increase your engagement with your followers. Be Confident in Your Business and Always Ask for the Sale – In order to make a profit, you need to sell your products and services. Spread Your Name Recognition with Boosted Posts on Facebook – This is a form of advertising which costs money but it’s a quick and more passive way to reach more people in a short amount of time. Don’t Sit in the Shadows: Tell Your Message to the World – If you don’t toot your own horn once in a while, nobody else will do it for you. 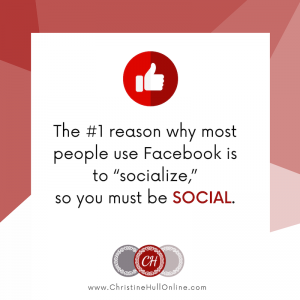 Be Social on Facebook, Reach Out and Make Friends – A huge component of what makes social media work for you is actually being social. Increase Your Sales and Name Recognition with Facebook Ads – If you want to take control and try to speed up the rate at which you obtain leads or make sales, try using Facebook Ads to increase your reach. Consistency Yields More Followers on Facebook – If you want to build an audience of loyal followers on any social media platform, consistency must be a part of your posting strategy. Use Facebook Events to Have Fun with Your Followers – It’s a great way to get extra publicity for your business; however, it takes some planning to get it just right. Use Free Facebook Groups to Attract Prospects – If you want to interact more personally with potential clients, offer a Facebook group. Toot Your Horn with Testimonials on Facebook – If you’re in business to make money, then you need to market your business and actually tell people what you do. Which of these are you currently doing today? Which ones will you implement? I look forward to sharing more information on each of these strategies, I hope you will follow along in this blog series. If you have any questions, I invite you to leave a comment below or contact me today. Join the MAWB, the Mississauga & Area Women in Business Networking Group.